The k-nearest neighbors outlier detection is a simple yet effective widely renowned method in data mining. The actual application of this model in the big data domain is not feasible due to time and memory restrictions. 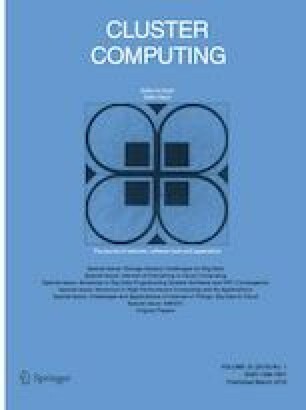 Several distributed alternatives based on MapReduce have been proposed to enable this method to handle large-scale data. However, their performance can be further improved with new designs that fit with newly arising technologies. Furthermore, it gives to each attribute the same importance to outlier. There are several approaches to enhance its precision, with the entropy-based outlier detection being among the most successful ones. Entropy-based outlier detection computes attribute entropy of the data set to weighted distance formula for the outlier detection. Apart from the existing the k-nearest neighbors outlier detection to handle big datasets, there is not an entropy-based outlier detection to manage that volume of data. In this paper, we propose an entropy-based outlier detection based on Spark. It presents three separately stages. The first stage computes attribute entropy. The second stage finds the k nearest neighbors and calculates the degrees of outliers using the attribute entropy computed previously. The third stage ranks each point on the degrees of outliers and declares the top n points in this ranking to be outliers. Extensive experimental results show the advantages of the proposed method. This algorithm can improve the outlier detection precision, reduce the runtime and realize the effective large scale dataset outlier detection. This work was supported by the Civil Aviation Flight Data Analysis under No. XM2852 and Key Scientific and Technological Research Projects in Henan Province (Grand No. 192102210125).